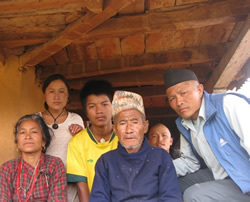 Family members of Kuttal village, Dhulikhel ward no. 6, have clubbed together in order to offer you an authentic experience of Nepali village life. Kuttal is a predominantly Tamang village located a half hour walk from the famously picturesque town of Dhulikhel, 27km east of Kathmandu. On a clear day the village commands spectacular views of the central Himalaya and surrounding foothills. Kuttal is made up of approximately 100 households with 400 inhabitants who include Tamangs, Brahmins and Magars. The village is spread out along a descending spur and its surrounding ridges.